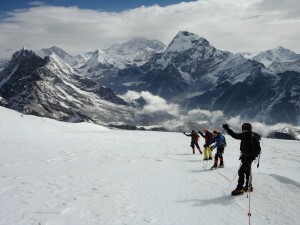 We offer some great peak climbing and trekking peaks in the Everest Region of Nepal. We have found that a large number of clients want to take their trekking trip to the next level and add in the climb of a 6,000m/ 20,000ft peak. 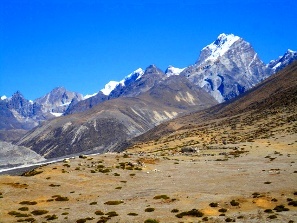 This is a great option if you are an experienced trekker and looking for a tougher challenge in the beautiful Himalayas. If this sounds like something you would like to do CLICK HERE and take a look at some of our amazing peaks on offer! You can also get the mountaineering skills required on one of our Scottish Winter skills courses. Excellent physical, mental and mountaineering preparation is needed before taking the next step towards climbing a Himalayan peak. 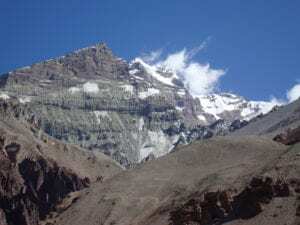 When you are making the decision whether or not to go climbing in Nepal and adding a 6,000m/ 20,000ft peak to your trekking itinerary, there are a few things to consider. 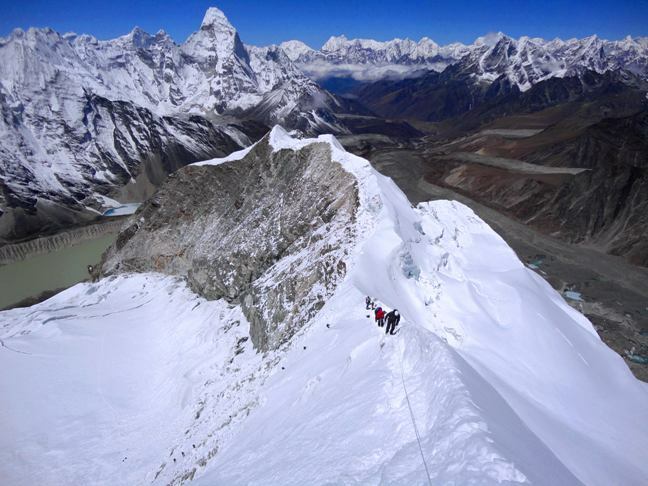 Climbing to the summit of a Himalayan peak is considerably more difficult than completing a trek. Your preparations at home are instrumental in adding to your enjoyment and success on the mountain and we pride ourselves on making sure you have the right and best information possible to do so. Call us and lets talk about your training and how to get prepared. We have a wealth of knowledge to be accessed. We recommend that all clients wanting to climb a 6,000m/ 20,000ft Himalayan peak have either done a Winter Skills Course or had other experience using climbing equipment like crampons, ropes and ice axes. Acquiring these skills will be extremely beneficial to your climb, and we believe that they will give you the best possible chance at reaching your climbing goals. When training at home before your climb, we have programs for you to follow that are proven to be successful. On average, we recommend anywhere from three to six months (depending on the level of fitness of the individual and the difficulty of the chosen climb) of hard training before you leave for a climbing trip, combining cardiovascular exercises, weight training and trekking with weighted back pack to your weekly routine. 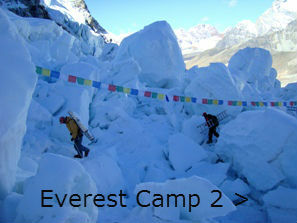 Check out Everest Base Camp and Annapurna treks as well. When you sign up for any Ian Taylor Trekking trip, we will provide you with further training programs as well as any specific individual requirements you may have. We know that this is what sets us apart from any other company, we are here to give you an individualized program to suit your needs. If you need any further information on training programs or on our Himalayan Climbs on offer, please contact us now.